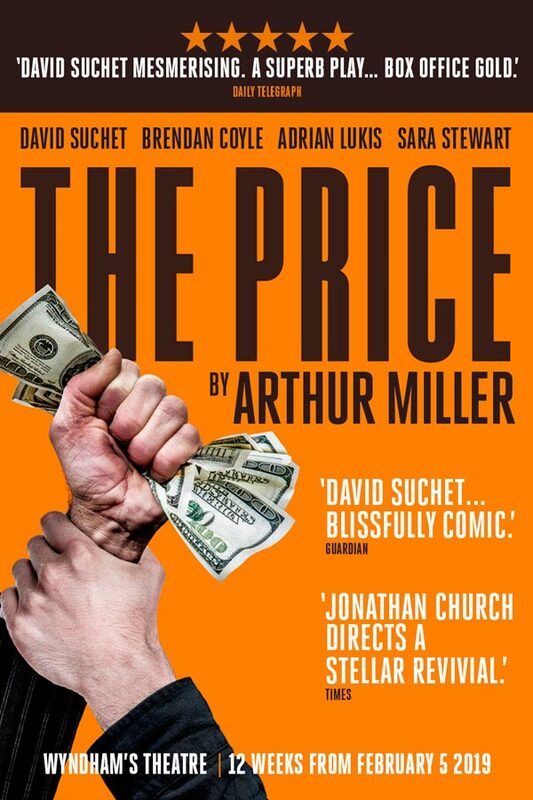 David Suchet delivers a comic tour de force as a silver-tongued 90 year old furniture dealer in Arthur Miller’s ‘masterpiece’ (Daily Telegraph&), The Price. David Suchet, revisiting the work of Arthur Miller after his legendary award-winning performance in All My Sons&, plays Gregory Solomon. He is joined by Brendan Coyle (Mr Bates in Downton Abbey&) , Adrian Lukis and Sara Stewart who plays Esther Franz, Victor’s wife.